Augustana Care, a nonprofit, faith-based organization that operates nursing homes, range of senior facilities, Feeney Manor (located at 901 4th Ave N.) and a day program that is housed in the senior center. NorthPoint Health & Wellness Center is a multi-specialty medical, dental and mental health center and human service agency located in North Minneapolis. The recently opened clinic at the Heritage Park Senior Center our latest effort to improve the physical and socio-economic health of the North Minneapolis community through an integrated model of health and human services. NorthPoint Will be offering Medical and Behavioral Health services to clients 55 and older to meet our goal of providing quality health care across the life cycle of the people we serve and addressing health disparities and inequities that impact mortality and quality of life. The Minneapolis Highrise Representative Council, a tenant organization that represents 5,000 households in 41 public housing high-rises, has offices at the senior service center. Alive & Kickin is a 501(c)(3) non-profit organization that features a talented ensemble of rockin senior performers ages 65-91 that entertain multi-generational audiences through popular contemporary music and personal stories. Each performance, whether a large, full-scale production, a corporate event or (our favorite) senior community gig, promises to surprise, move and inspire audiences of all ages. The group is managed and directed by award-winning performing arts professionals. Our mission is to give voice to seniors through personal story and popular song, empowering its members to entertain and enlighten multi-generational audiences. We hold auditions annually for the group and look for those who are a blend of talent, unique personalities and charisma. An open-mindedness is also a requirement as we explore contemporary genres of music ranging from rock & roll to pop to gospel and Motown as well as topics of all shapes and sizes! 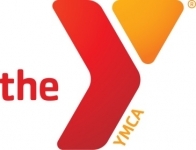 The YMCA operates the fitness center and conducts exercise courses for seniors with certified trainers. The Y is available to residents on site and seniors in the community. Augustana Care’s Learning Lab for Eldercare Technologies offers older adults, family, caregivers and health providers hands-on practice for a variety of devices and interactive technologies in real-life settings for at-home independence.